I live in Brooklyn with my husband, daughter, son, and dog. I am the author of two novels, The Mermaid of Brooklyn, and How Far is the Ocean From Here. My writing has appeared in Real Simple, Martha Stewart Living, Poets & Writers, The L Magazine, Opium, Jane, West Branch, Salt Hill, Opium, Lyric, West Branch, 3rd Bed, Passages North, and the Found Magazine anthology Requiem for a Paper Bag, and on the websites The Nervous Breakdown, Five Chapters, Mr. Beller's Neighborhood, The Furnace Review, Brink, Sub-Lit, Hobart, Nidus, Elimae, Bookslut, Jacket Copy, and elsewhere. I occasionally teach writing for places like Gotham Writers' Workshops, Sackett Street Writers, and NYU-SCPS, but mostly these days jobwise I write for Oprah.com, The Huffington Post, and RedbookMag.com. I spend a lot of time in my imaginary world. Virginia Woolf is, to me, the perfect writer. Amy, hi! I'm taking a hiatus from novel-writing to work on a little handmade book--a series of very short pieces and woodcuts that I want to print on a letterpress. I'm feeling an intense nostalgia for the book-as-object. 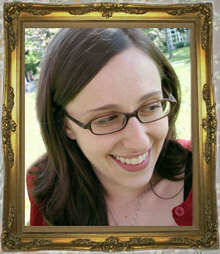 You must log in to write on amy shearn's wall.